Infestations can be extremely difficult to control and ants are no exception. In fact, having an ant infestation in and around your home can cause a multitude of problems. Pest control should not be undertaken by just anybody, it takes years of expert knowledge and skills to thwart an infestation effectively. Ants live in nests, also known as a colony. It’s also during the summer months when new ant nests are more than likely formed. It’s the fertile male and female flying ant that has one objective in mind – to seek out suitable places to form new colonies and nests. The males perish after mating and then the females will become the new queen ants. Once a nest has been established, the queen ant will rear some soft soil and then lay some eggs within. These initial eggs that she lays will be her first wave of worker ants to help run and maintain the new nest. All ant nests contain a queen ant, worker ants, male ants and of course eggs, larvae and pupa. If you discover an alarming amount of ants anywhere in your home, please contact our experts immediately to take effective action. There are many 1000’s of ant species throughout the whole world, and in the United Kingdom we have around 50 different types of ants. There are several species that are especially common. These are as follows. Each has their own distinct characteristic, but all will cause havoc if a nest is formed close by. 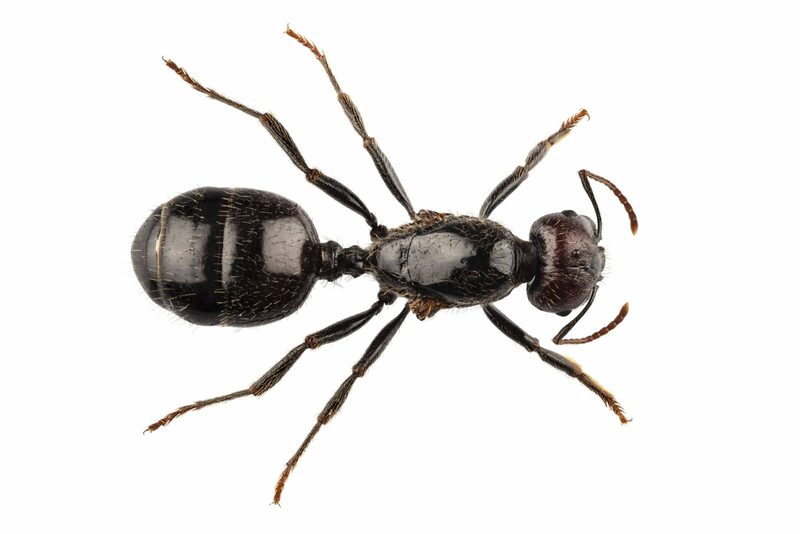 The black garden ant (Lasius Niger) is the most common species of ants likely to bug you in and around your home. These ants are dark brown-black in appearance and approximately 4-5mm in length, they also have no stingers. This ant is most likely found in many places such as under paving stones and within soil on the sunny side of a building. 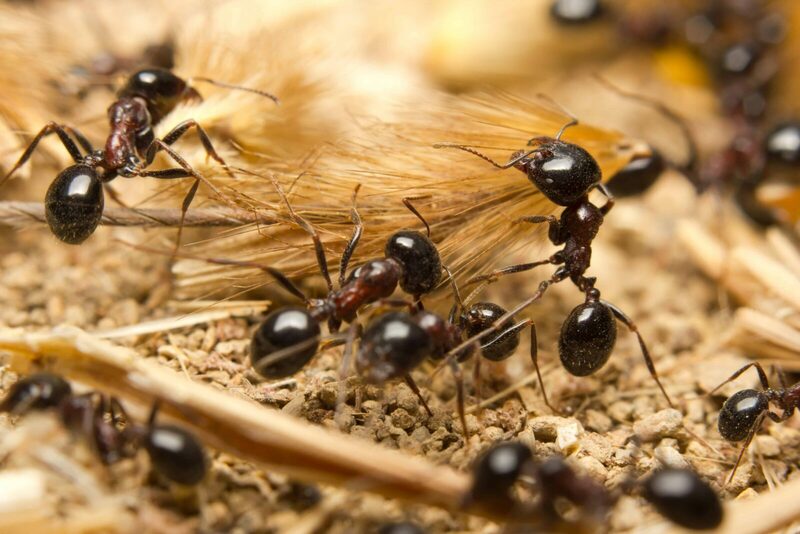 With colonies potentially housing an average of 7,000 ants or more, it needs to be contained as quickly as possible, and that is where professional common black garden ant pest control is recommended to be undertaken. The red wood ant (Formica Rufa) is another very common species. Deep red in colour, and as the colour suggests they can be very aggressive and have the ability to deal an extremely painful sting as well as the ability to spray formic acid. It’s not just the aggressive nature that is a problem, these ants are quite large also, and 10,000 or more ants can often reside in a colony. Due to their aggressive nature it’s advised to stay well clear. Pavement ants (Tetramorium Caespitum) also have the tendency to sting, although they are not as aggressive as the red wood ant. Brown-black in appearance and approximately 3.2mm in length, they consume just about anything they can find. Nests can often found under objects such as stones, boards, or wood, and on the lawn amongst other locations. These ants are often seen entering homes in search of food. The average nest can contain upwards of 10,000 ants. Therefore, this threat should be dealt with immediately. All species of ants prefer warmer climates, that is why in the United Kingdom we only have a tiny selection of the 11,000 or more species available within the world. During colder periods ants do become dormant and essentially sleep, waiting for the temperature to rise. As it gets to a suitable temperature, it’s at that point the ants become active and come out of their nests in search of food. The general life cycle of worker ants can be split up into various distinct stages. Eggs are initially laid by the queen ant. These eggs then hatch after a few days to reveal the ant larvae, where upon the worker ants gather food and feed them. Approximately 8 days after, the larvae spins silk and places itself into a cocoon, once it’s in this state it’s called a pupa. Fully grown ants then hatch from these cocoons about 3 weeks later. These worker ants can live for up to 5 years, with the main priority throughout their lives is to gather food and maintain the nest. The potential longevity of ant nests proves that this problem will be very difficult to go all by itself and only professional pest control can eliminate an ant colony quickly and effectively. Even though ants are a pest they do form an extremely structured society with every ant knowing its place. The following are the types of ants and their roles within a colony. The queen ant predominately lays eggs only. Without a queen though, a nest would never survive. Worker ants are always female but unable to lay eggs and make up the bulk of a colony. The primary function is to look after eggs, larvae and pupa, while also maintaining the nest as a whole. Male ants and new queens are only laid during the summer months. The male ant’s lifespan is very short at only a few months. This is because they are only used to fertilise a new queen and upon completing this task, they die. Finally we have eggs, larvae and pupa. The queen ant regularly lays fresh eggs, and these become larvae and then pupa before finally hatching. It’s the intricate nature of ants that can make them difficult to deal with. That is why our experts understand the behaviour of ants, and can take action against an infestation right away. 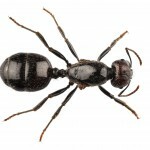 Ants are an invasive species that can get into everything, and depending on the species even sting, or spread disease. They can also cause major distress when they invade a living space. Ants need to be dealt with professionally otherwise it could be a recurring problem that will never have an end. Our specialists are trained to apply common black garden ant pest control effectively to dispose of ants cleanly and quickly.